Size 7 Ready to ship! 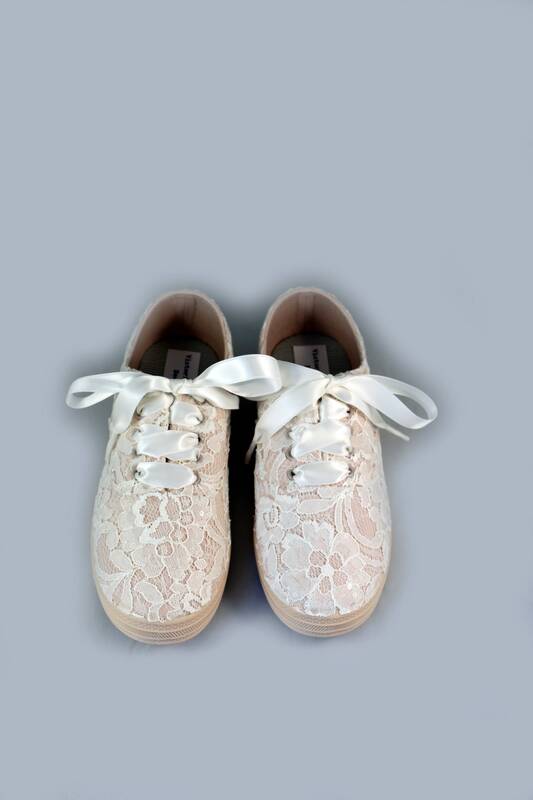 Pictured with ivory lace and Ivory ribbon shoelaces. For the girl who wears her sneakers to every occasion.... why shouldn't you wear them to your wedding? 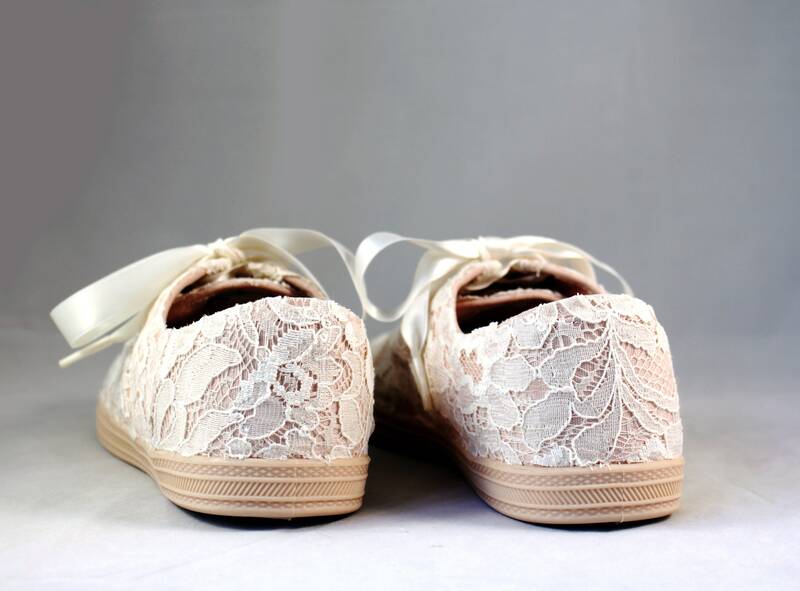 Skip down the aisle in comfort in these beautiful ivory lace sneakers!